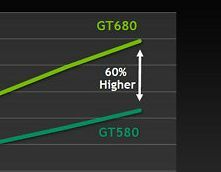 According to NVIDIA, GeForce GTX 680 is selling 60% better than its predecessor – GTX 580. Long story short, it appears that the supplying problems are not related to lesser availability of new GPUs, but popularity of the card, which causes constant shortages on the market. 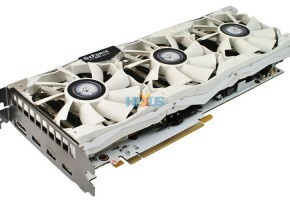 In late March GeForce GTX 680 was released, which was the first Kepler GPU in the lineup of new GeForce 600 Series. 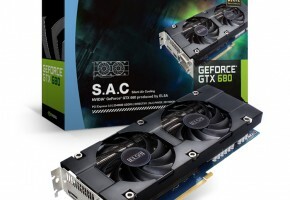 Card itself offered much better performance than its predecessor – GTX 580 – and as is turned out it was even faster than its main competitor — Radeon HD 7970. 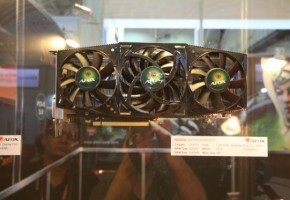 NVIDIA claimed that the new Kepler architecture provide increased power per Watt. NVIDIA is pleased with the sales of GTX 680. 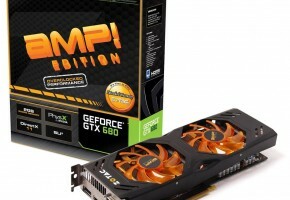 Since the day of the release card is selling better than GeForce GTX 580. Actual numbers say that it’s 60% better than previous generation. But there is a catch, because sales mentioned here do not involve only retail customers but every single company that ordered those cards (including large companies). 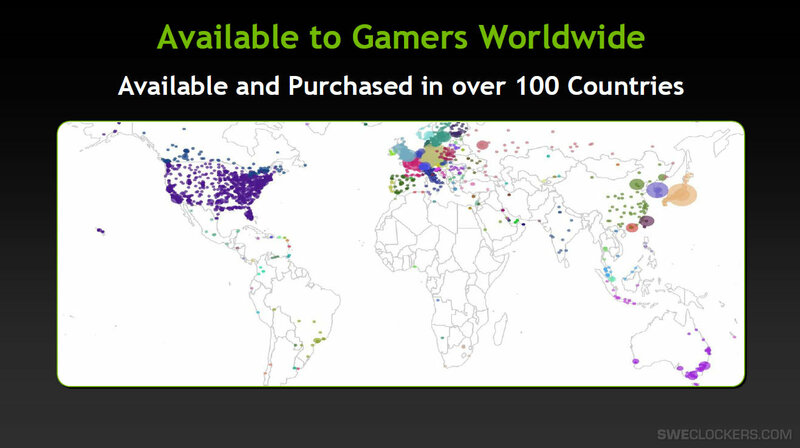 The GeForce GTX 680 is available worldwide in almost 100 countries, but as we can see only three regions are the most important markets for NVIDIA – North America, Europe and East Asia. 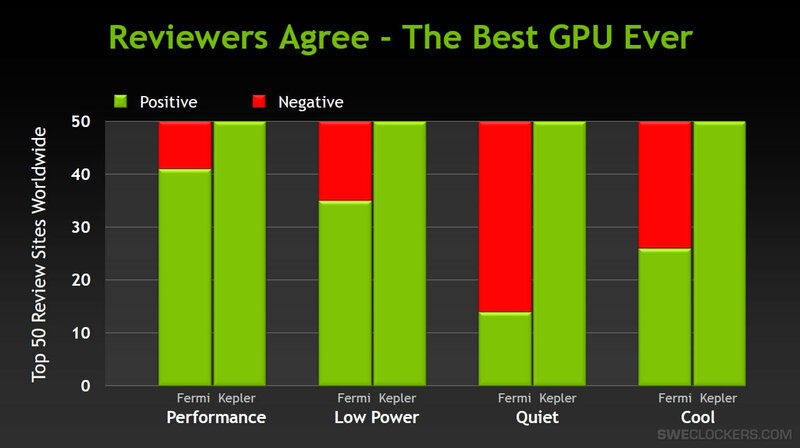 NVIDIA also presents how did Kepler architecture perform in multiple reviews in comparison to Fermi. We can only guess which are the TOP 50 review sites, but according to this data Kepler proved to be much better construction. The biggest impact of new GPUs was on noise and temperature levels. 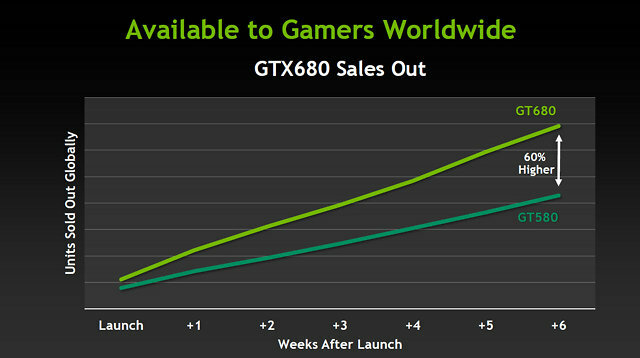 This tendency of better sales may change a bit, likely because NVIDIA has launched their GTX 670 card and there’s still GTX 660 coming. 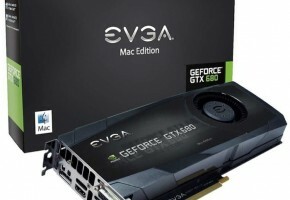 Right now, GTX 670 looks like more solid and cost-effective construction. 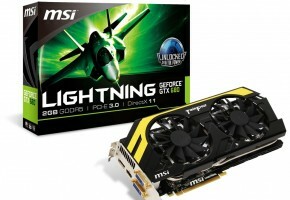 People may also find $600 SLI configuration of GTX 660 cards more attractive than single $500 GTX 680.